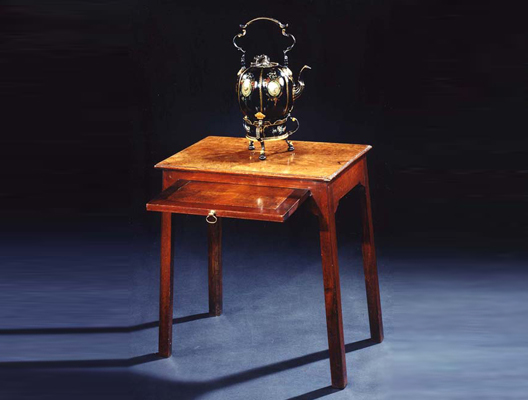 A most unusual English George III period stand of unusually large proportions, most probably made to take a 'Tea Equipage', or tea-making machine, the stand being executed in selected figured and faded mahogany, the frieze having a pull-out mahogany slide to take tea cups and a slop bowl, the slide still retaining the original brass handle, the stand supported on four square chamfered legs. Height 23 1/2in (59.5cms). Width 22 1/4in (56.5cm). 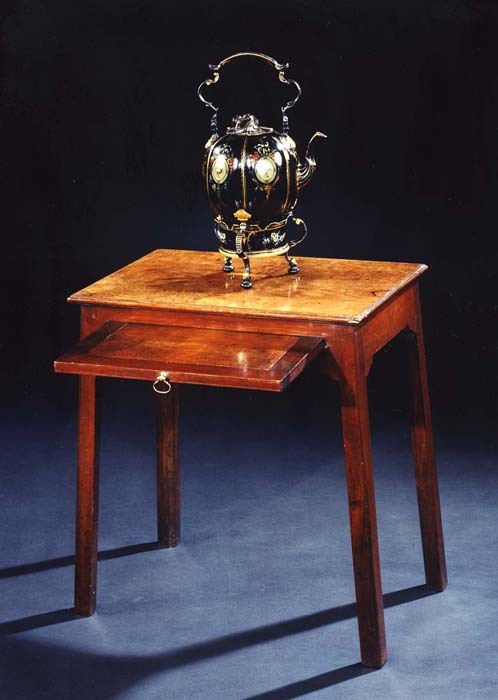 Depth 14in (35.5cm).